ROAD TOWN, Tortola, VI- It is an often enough uttered sentiment that the church has become mum, however, at least one man of the cloth is not pleased with what he felt was a “passive” response from his other colleagues regarding them not having a problem with a festival occurring simultaneously with the observance of the death and resurrection of Jesus the Christ. Mr Walter D. Barrett, Pastor at the New Life Baptist Church, in an exclusive interview with Virgin Islands News Online (VINO) on Friday April 14, 2017, said he believes that there are too many instances where the church should make a stand on that they are not, such as homosexuality, crime, injustice from the point of view of oppression, including the Virgin Gorda Easter Festival that officially begins today. He also made it clear that his views are his own and does not represent any religious organisation. “I think that a lot of times as pastors and churches, we kind of take a passive approach to things that we need to take a stand on,” he said. “The church is not there to uphold or create controversy, but when there is controversy, the church is there to direct persons back to what ‘thus sayeth the lord is’,” he said. “We need to as the church on a whole, be able to speak out on matters that are not necessarily controversial per se but matters that when we are expected to make a stand as a church and make a sound as a church, a lot of times you get silenced. Now in these little circles, you hear persons talk and say ‘how come we never said anything about this or that?’ There is no voice. The church has become silent,” he bemoaned. 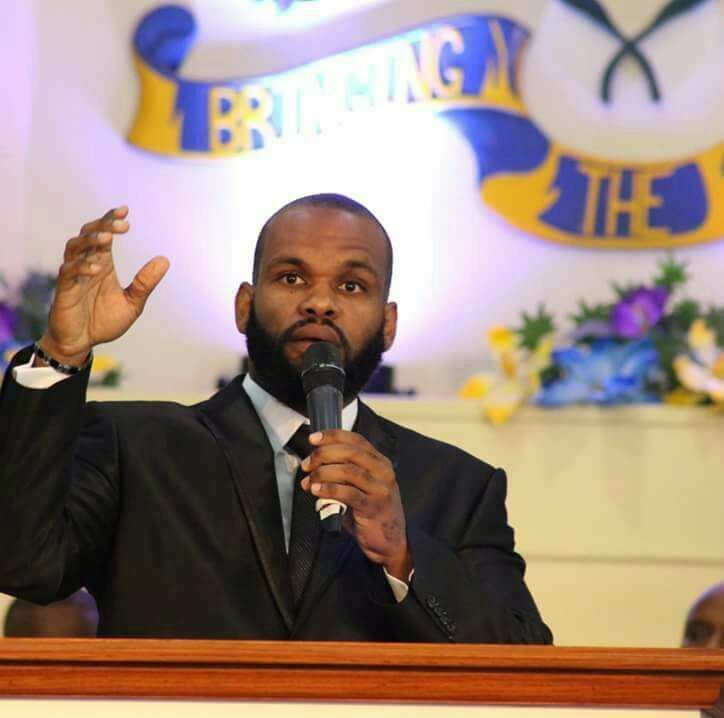 According to him, his remarks stemmed from an article on BVI Platinum News, where two pastors were interviewed and in a nutshell said they had no objections to the annual festival, which is in its 50th year, being held one day following Easter Friday, and ending on Easter Monday. “Easter is definitely one of those seasons and times that the world recognises, and to down play it and to have competing secular activities around that time. I think the church needs to say “yeah there is a problem”. We need to recognise who we are,” he insisted. He said the VI, despite being a Christian nation, has placed God on the back burner. It is “an open secret” that the church and state has become so interwoven into each other, from being spiritual advisors and counsellors to politicians, to funding the church’s activities and donations. When asked about the possible hesitance on the part of the church to “rock the boat”, he responded that at the end of the day as a Christian, your allegiance is not to man but God, and one’s stand should be for the almighty. When further questioned on the reason why he believes the church is being so silent, he said that the church and the world are almost twins. “Honestly I think that a lot of churches don’t even know what their stance is. I think we have blurred a lot of lines that think the church is looking so much like the world sometimes, so to pull back and to jump back into being the church it is kind of hypocritical. There is a fear of people won’t take us seriously so we just sit very quietly in our corners and play it safe,” he remarked. An interview like this could not be complete without pointing to the recent fiasco with another fellow man of the cloth-Pastor John I. Cline- who was sacked for speaking his views and the possible if any repercussions it could have had, or is having on the church’s already timid voice. His response? Take a leaf out of Pastor Cline’s book, who knew that God would have taken care of him in every situation. He said persons need to speak out despite knowing that the majority would not be in your favour. We also wanted to know why his voice was not heard in the areas mentioned. “I speak out, I work at the Prison, I speak out in the areas that I am in, I speak out in the church, I speak out in the community, on the streets, I speak out in the courts. I speak out where I am present. This was an issue that I read in an article. I read the passive response as far as I am concerned and it was one that prompted me and I think it warranted some sort of response. Very well said. The church must become the church again. And we can't be afraid to speak the Word of God. What is He saying about these issues? That's what our voice should be. And one voice. Spot on Pastor, if we are a nation built on God then let's act like a nation built on God. Let's give VG the Tuesday as a holiday since Monday is already a holiday. They can begin their festivities on Sunday night after the waster observance and have the Monday and Tuesday to do their thing. That way everybody will be happy but we have honored God by respecting his death and resurrection. We must teach our young children to give God what is due to God and to man what is due to man. Nothing is wrong with our celebration but we must always honor the things of God FIRST. There are children today who never knew that there was a time you could hear a pin drop on a Sunday. It is God who has kept us, is keeping us, and will keep us. Who has ears, let them hear. That back burner action has repercussions. Thank you for not being fearful and taking a stand as someone many looks up to. Thank you for this read. I pray others read, comment and share. Speak truth to justice pastor. Be not afraid. Yea, you got the power to judge the man..but it do sound like you were hurt when he made his personal decision to worship elsewhere, now you talk that, lol, lol! I personally think the church need to do some home cleaning. 1st the church elect a head of the Christian councel every so often. They do not have a merting in years because they can get along. God people cannot operate a functional christian council only sign papers to stop an event. Chhrch people are the worse SMH. Where was he hiding when the gay law was passing? Why these island people don't keep out of we sauce? Really Opportunist? A gay law was passed in the Virgin Islands? I hope you spoke out as you were the only one who knew. all criminals that come here to these virgin islands came under a church.from the time they get one them Benjamin Franklin $100.00 bill them forget about church and all. wow a can o worms to open here, church, easter, Christmas, history, children of Israel, laws statues and commandments, blessings for obedience of the laws statues and commandments, curses for disobedience of the laws statues and commandments, Deuteronomy 28, beardless men, women in pants, women pastoring churches, people paying tithes when they do not have to, slave mentality, celebrating birthdays, we have strayed far from when our fore fathers were delivered out of the land of Egypt. When them postors stop mess with other man woman who them supposedly counseling, then I might give what them saying some value. Hypocritical them pastors is. All these churches with their definition of the Bible and wanting to make everyone follow their beliefs. I maintain a direct spiritual connection. Don't want to get caught up with the competition of "religion" as it is churches trying to prove they are better than the other and a lot of hypocrites attending church with unhealthy minds. They leave church and continue with their judgemental thoughts and behavior and do nothing to improve themselves to make this world a better place for everyone to live peacefully. If the churches want to do good, help our younger generation by showing them love and understanding. They sit back and watch them destroy themselves but what is actually being done to help guide them? There is your homework all you supposed leaders of the churches who want to do good. Save the last generation and the next. And a word of advice, don't condemn the youth by shouting praises on Sunday, get yourselves out in the communities and get to know them show them that you genuinely care and look out for their betterment. Follow up with them to make sure they are ok. Be good and do good! Blessed Easter to All. If Christians themselves knew their own history; the history of the people they conquered and how the religion itself originated from a conquered people, people like Pastor Barett wouldn't be getting up saying these kinds of things. None of the "holy days" are holy and all originated when the Christians tried to convert the Pagans by moving their special worship days to Pagan holidays in order to trick the Pagans into worshipping God and assimilating them into Christianity. There is a lot of Paganism in Christianity and Easter and Christmas are two primary ones. If more Christians would get off their high horse from trying to preach down to others and actually learn about themselves and other religions they'd see we're all a bunch of lost hypocrites and just let people enjoy their own fun and be in peace. How many churches here put Christmas trees in their halls or host Easter egg hunts and think nothing of it? How is that any different from seeing a parade today? I was going to respond to Christian-Pagan Pagan-Christian, but your very name says it all. Yuh confused. I'm not confused but literate. Try doing some research for yourself if you don't believe me. We are all too old to accept what we were taught as children with no question. Clearly some missed the reason for this article. The nation has to come back to God. All those turning this article into a denominational debacle, check yourselves. If we forget God, a nation is ruined. A nation without God, the people perish. BVI, before we were doing this well, our foundation was built on God. Lest we forget.